Debenhams shares jumped this morning after the struggling department store secured an extra £40million of funding from its lenders. The cash injection is a temporary reprieve that should cover a major rent payment is due on March 25. The company said this new 12-month credit facility will allow it to continue trading while it works out a longer-term refinancing and recapitalisation package. Shares in Debenhams, which have dwindled to just a few pence as the chain hit the skids, jumped 40 per cent to 4.4p on the news. ‘The new facility agreement, which contains provisions for a step-up in pricing during calendar Q2, will act as a bridge to facilitate a broader refinancing and recapitalisation,’ the retailer said in a statement. The High Street issued three profit warnings last year and has £286million worth of debt. 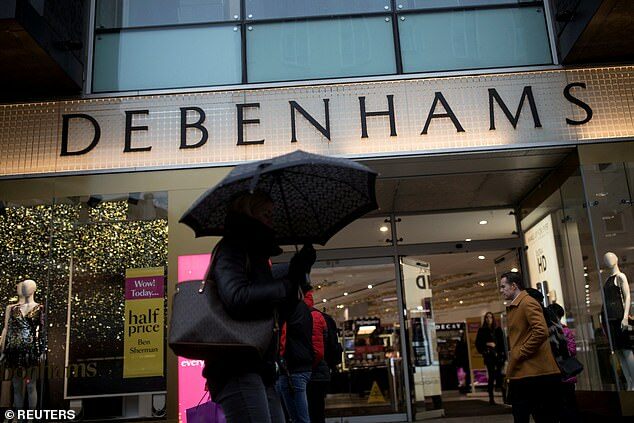 Debenhams is also working on a controversial Company Voluntary Arrangement (CVA) which would allow it to negotiate chunky rent reductions with landlords and axe a number of stores. Debenhams is looking to shut 20 shops by the end of 2019 but the total could rise to 90 in the coming years. Today’s cash injection ends months of uncertainty over the company’s finances, which led to Sports Direct boss and Debenhams shareholder Mike Ashley saying the firm had little chance of survival. 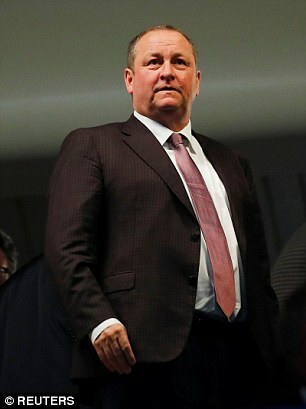 Ashley’s offer of a £40million loan was turned down on the basis that his terms would affect other shareholders. Ashley holds a near 30 per cent stake in Debenhams. Separately, Debenhams announced on Tuesday that it has reached an agreement with supply chain manager Li & Fung to oversee some of the chain’s sourcing. The Hong Kong-listed firm was described by Mr Bucher as being a ‘key part’ of the Debenhams turnaround plan. Neil Wilson, analyst at Markets.com, said the worry is that Debenhams is now living ‘hand to mouth’. He said: ‘Debenhams shares jumped as the company secured fresh credit from lenders but is this a stay of execution or a genuine lifeline? ‘Nevertheless, this is an important step towards that refinancing deal and should help management to navigate what is going to be a very tricky few months. Laith Khalaf, senior analyst at Hargreaves Lansdown said: ‘This debt agreement is a lifeline for Debenhams, but isn’t going to solve its fundamental problems.